Yet, even with its shortage in record keeping, the Chinese rug has enjoyed a long and memorable past. 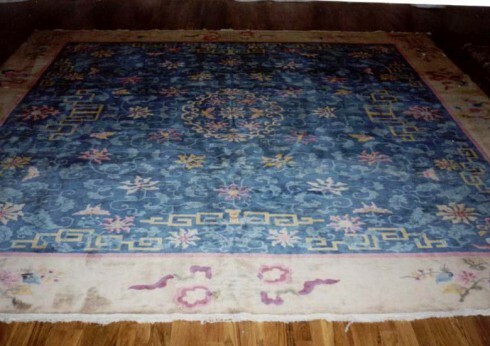 A somewhat recent discovery of carpet fragments, dating back 3,000 years, has produced evidence that the craft always enjoyed a noteworthy existence as an art form in the Chinese culture. Though there are other areas of China that participate in the rug weaving practice, it has been Xinjiang that continues to produce most of the modern day iterations for local and international markets. The autonomous region, placed in the far western reaches of China, has a well-documented history of successive empires, each contending for control over the area for millennia. Between its borders is an area covering 1.6 million square miles, roughly 1/6th of the Chinese territory, and plays home to many millions of China’s residents. The art of rug weaving in the region reached its full maturity in the late 19th century, sourcing much of the materials utilized in the craft through trade performed along the Silk Road. 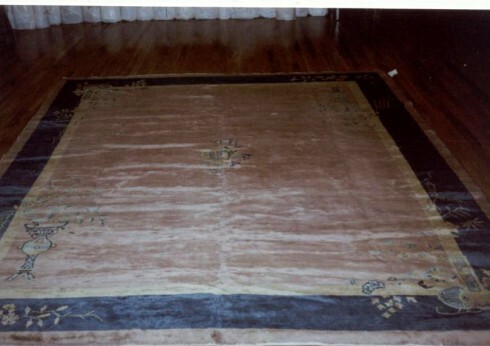 As a result, many of these early Chinese carpets were manufactured of fine, silken threads, intended to be used by the upper levels of society. Today, however, the practice has evolved into more commonly recognized textiles in the Oriental rug market, artisans finding a great deal of value in the use of wool and cotton treatments. Among the carpets and rugs of today, the Chinese rug’s uniqueness is most apparent in its use of mystical, cultural and symbolic design work, paying homage to the stunning environments and ruling dynasties of the region. It is common to see classical symbols of longevity and luck, lotus blossoms, dragons, phoenixes, and illustrious bands of clouds knotted into their foundations. Many of the modern designs are influenced by traditional Taoist and Buddhist symbolism, depending on the area from which they emanate, yet it is becoming more ordinary for rugs to feature secular design work during their manufacture. 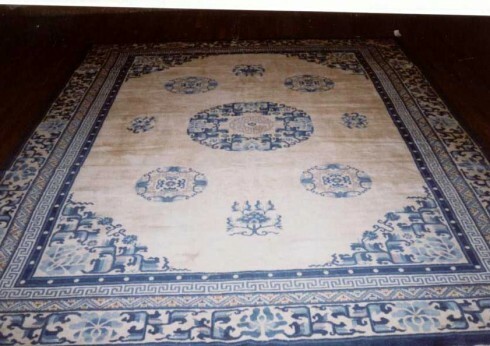 The color schemes utilized in the Chinese rug often follow more radical, native declarations of the culture and craft. Particularly, fiery reds and intense blues stand out among the more monochromatic ivories and yellows that have long played a part in the artisans’ palettes. 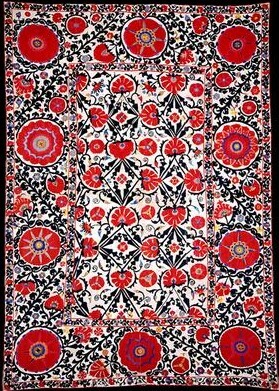 Nevertheless, with the modernization of weaving and production techniques, the designs and colors have become slightly muted, in response to the desires of Western collectors. This has not only led to its popularity overseas, but solidified its position as one of the most prized among Oriental rugs in the world.